Conference Series LLC Ltd is overwhelmed to announce the commencement of 25th World Congress on Cancer Science and Therapy. Theme: “Characterizing Novel Approaches in Diagnosis and Cancer Therapies”. Sprawling the achievement of past cancer meetings, it is with colossal delight and pride that Conference Series LLC Ltd extends its heartfelt welcome to “25th World Congress on Cancer Science and Therapy” that will be held in Baltimore, USA during October 18-20, 2017. The conference will be organized around the theme ‘Characterizing Novel Approaches in Diagnosis and Cancer Therapies. Cancer Science 2017 will provide an unparalleled prospect to get associated with leading oncologists, doctors, scientists, academicians, specialists & business associates coming from all over the world. As the theme of the conference relates, it serves as a global platform to converses concerning the current developments, recent advances, new approaches and future approaches in the field of cancer & therapy. Cancer Science 2017 will be organized by Conference Series LLC Ltd which is comprised of 3000+ Global Events with over 600+ Conferences, 1200+ Symposiums and 1200+Workshops on diverse fields of Medical, Pharmaceutical, Clinical, Engineering, Science, Technology and Business. Cancer Science deals with study of basic researches in the field of cancer & oncology. It involves identifying causes and to develop strategies for diagnosis, prevention, treatment and cure for this dreadful disease. The global Cancer Science and Therapy market is estimated to grow at 17.6% CAGR to reach $52.2 billion by 2021. 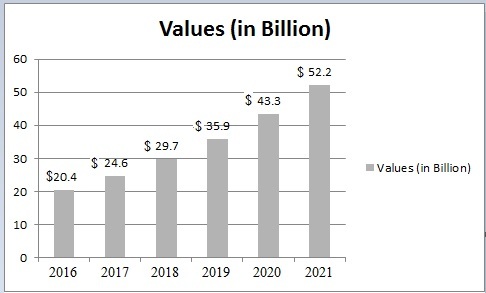 Breast cancer therapy is the largest market expected to reach $30.8 billion by 2016 at an estimated CAGR of 15%. Rise in cancer incidences and access to modern therapeutics, population of aged people, increase in innovations, improvements and approvals promote growth of the market. Furthermore, efficiency and High process magnetize manufactures also contribute to the growth of the market. Major restraints are high price of therapies, change in reimbursement policies, and challenges faced in clinical trials. Market is segmented based on therapies i.e. Targeted cancer therapies (Hormone therapy, Signal transduction inhibitors, gene expression modulators, Apoptosis inducers etc. ), Hormone therapies (Forms of hormone therapy), Immunotherapy (Monoclonal antibodies, Cancer vaccines, Non-specific immunotherapies), Chemotherapy. Based on geography, market is segmented into North America (US, Canada), Europe, Asia and Rest of the world. Major players are focusing on marketing their products in emerging markets such as India, Japan, Brazil, and China. Oncology spending remains concentrated to America and Europe which totally accounts for 65% of the total market. Targeted therapies have increased their share of global oncology from 11 percent to 46 percent last year. Major companies in the market include Dendreon, Galena Biopharma, Newlink genetics, Peregrine pharmaceuticals, Inovio pharmaceuticals. Players are implementing new innovations, strategies, new product launches to gain a competitive edge. Cancer is a class of diseases characterized by out-of-control cell growth. There are more than 100 distinct sorts of cancer and each is ordered by the kind of cell which is first influenced. Malignancy is thought to be one of the main sources of grimness and mortality around the world. More than 575,000 individuals bite the dust of tumor and more than 1.5 million individuals are determined to have disease every year in the US. A restorative expert who hones in the field of cancer and cancer related diseases is an oncologist. In addition to the multidisciplinary talks, keynote sessions and lectures relevant to cancer science & therapy, the Cancer Science 2017 is a complete 3 days event with panel discussions, open Q & A to generate a prime learning knowledge between participants. Cancerous tumors are threatening, which implies they can spread into, or attack adjacent tissues. What is more, as these tumors develop, some cancer cells can sever and go to distant places in the body through the blood or the lymph framework and shape new tumors a long way from the first tumor. Cancer cells emerge from the body's own particular tissues. Cancer Cell Biology incorporates the molecular, biochemical and cell-based ways to deal with better comprehend cancer pathogenesis. Metastasis is the spread of a cancer or other infection from one organ or part of the body to another without being straightforwardly associated with it. At the point when cancer cells split far from a tumor, they can go to different territories of the body through the circulatory system or the lymph framework. The lungs, liver, brain and bones are the most well-known metastasis areas from solid tumors. Treatment and survival is resolved, by regardless of whether a cancer stays confined or spreads to different areas in the body. Cancer is a hereditary sickness and is brought about by specific changes to qualities that control the way our cells work, particularly how they develop and separate. These progressions incorporate transformations in the DNA that makes up our qualities. A few sorts of cancers keep running in specific families, yet most tumors are not unmistakably connected to the qualities we acquire from our folks. Quality changes that begin in a solitary cell throughout a man's life cause generally malignancies. A few people are hereditarily inclined to building up specific sorts of cancers. These individuals have a higher danger of building up the malady than those in the overall population. Hereditary testing is currently accessible for some inherited cancers. Genetic testing includes a straightforward blood test and might be utilized to get a more exact gauge of your growth hazard. Now and again, Genetic testing should be possible on put away tissue tests from deceased relatives. Tumor immunology depicts the cooperation between cells of the invulnerable framework with tumor cells. Understanding these interactions is imperative for the improvement of new treatments for tumor treatment. In many people the resistant framework perceives and disposes of Tumor cells. Cancer immunology is a branch of immunology that reviews collaborations between the resistant framework and cancer cells (likewise called tumors or malignancies). It is a field of research that plans to find cancer immunotherapies to treat and retard movement of the disease. The immune response, including the recognition of cancer-specific antigens, forms the basis of targeted therapy, (such as vaccines and antibody therapies) and tumor marker-based diagnostic tests. Cancer genomics is the study of the totality of DNA sequence and gene expression differences between tumor cells and normal host cells. It aims to understand the genetic basis of tumor cell proliferation and the evolution of the cancer genome under mutation and selection by the body environment, the immune system and therapeutic interventions. The metabolites within a cell or biological system are being used to analyze cancer metabolism on a system-wide scale, painting a broad picture of the altered pathways and their interactions with each other. Cancer metabolomics involves chemical analysis by a range of analytical platforms through targeted/untargeted approaches. The application of metabolomics towards cancer research has led to a renewed appreciation of metabolism in cancer development and progression. Targeted Cancer therapy is a newer type of cancer treatment that uses drugs or other substances to more precisely identify and attack cancer cells, usually while doing little damage to normal cells. Targeted therapy is a growing part of many cancer treatment regimens. Targeted therapy or molecularly targeted therapy is one of the major modalities of medical treatment (pharmacotherapy) for cancer. The Drugs work by targeting specific genes or proteins. These genes and proteins are found in cancer cells or in cells related to cancer growth, like blood vessel cells. As a form of molecular medicine, targeted therapy blocks the growth of cancer cells by interfering with specific targeted molecules needed for carcinogenesis and tumor growth, rather than by simply interfering with all rapidly dividing cells. Stem Cells and Tumors Cancer Cells also have the characteristic that is associated with normal stems cells. Stem Cell Therapy is used to prevent the disease. The most common stem cells therapy is bone marrow transplantation. Stems cells transplant is used to treat cancers like leukemia, multiple myeloma of lymphoma. Cord Blood Stem and Cancer cord blood contains hematopoietic (blood) stem cell. These cells make different types of cells like red blood cells, white blood cells, Hematopoietic stem cells, purified from bone marrow or blood, have long been used in stem cell treatments for leukemia, blood and bone marrow disorders when chemotherapy is used. A cancer biomarker is an element or procedure that indicates the presence of cancer in the body. A biomarker may be any molecule released by the presence of a tumor or a specific indication of the body to the presence of cancer. Cancer biomarkers are usually biological molecules found in blood, other body fluids, or tissues that are a sign of a normal or abnormal process, or of a condition or disease. A case report signifies the detailed report of symptoms, signs, diagnosis, treatment and follow-up of an individual patient of a particular disease. Cancer Case reports have been playing a pivotal role in medical education, providing a structure for case-based learning and implementation throughout the world. The Normal treatment modalities are associated with severe side effects and high toxicity which in turn lead to low quality of life. This review encompasses novel strategies for more effective chemotherapeutic delivery aiming to generate better prognosis. Currently, cancer treatment is a highly dynamic field and significant advances are being made in the development of novel cancer treatment strategies. In contrast to conventional cancer therapeutics, novel approaches such as ligand or receptor based targeting, intracellular drug targeting, gene delivery, cancer stem cell therapy, magnetic drug targeting and ultrasound-mediated drug delivery, have added new modalities for cancer treatment. Precision medicine also known as Personalized Medicine is a phrase that is often used to describe how genetic information about a person’s disease is being used to diagnose or treat their disease. The deeper understanding of how cancer forms and grows has ushered in a new era of precision cancer care, where tailored treatments target abnormalities that may be found in each tumor’s DNA profile. This exciting innovation marks a shift, from traditional treatments designed for the average patient based on their success with a representative sample of people with similar cancers, towards more precise therapies. Cancers that are closely linked to certain behaviors are the easiest to prevent. Many complementary health approaches are also found to combat the risks of cancers like, for example, herbal and other dietary supplements, acupuncture, massage and yoga. Cancer pharmacology plays a key role in drug development. In both the laboratory and the clinic, cancer pharmacology has had to adapt to the changing face of drug development by establishing experimental models and target orientated approaches. It is based on the location of cancer cells that occur in particular organ. There are more than 200 different types of cancers that are being diagnosed. Among them Lung cancer, breast cancer are the most common cancer diagnosed in 2015. Apart from these prostate cancers, colon cancers, bladder cancers, breast cancers are the most common cancer types. The rare type of cancers is that affects the bone known as Bone Cancer. Depending upon the location of cancer, causes and symptoms, the method of treatment varies. Carcinoma, Sarcoma, leukemia, lymphoma and melanoma are the types of cancer found in different organs. Radiation Oncology encompasses all aspects of research that impacts on the treatment of cancer using radiation. Radiation can be given as a curative modality, either alone or in combination with surgery and/or chemotherapy. It may also be used as a palliative, to relieve symptoms in patients with incurable cancers. The Radiotherapy/radiation therapy is broadly segmented into Teleradiotherapy, Brachy-radiotherapy and Metabolic Radiotherapy. Radiobiology (also known as radiation biology) is a field of clinical and basic medical sciences that involves the study of the action of ionizing radiation on living things. Nuclear medicine is a branch of medicine that uses radiation to provide information about the functioning of a person's specific organs or to treat disease. It is also known as Nuclide imaging. Medical imaging is the technique and process of creating visual representations of the interior of a body for clinical analysis and medical intervention, as well as visual representation of the function of some organs or tissues. Surgery is used to diagnose stage and treat cancer and certain cancer-related symptoms. It is the branch of surgery applied to oncology; it focuses on the surgical management of tumors, especially cancerous tumors. Whether a patient is a candidate for surgery depends on factors such as the type, size, location, grade and stage of the tumor, as well as general health factors such as age, physical fitness and other medical comorbidities. For many patients, surgery will be combined with other cancer treatments such as chemotherapy, radiation therapy or hormone therapy. Cancer Drugs are used not only for treating cancer, but also for relieving symptoms of the cancer (e.g. pain) and side-effects, such as nausea, commonly seen with the various types of treatment. Doctors often treat cancer with 2 or more chemotherapy drugs. And sometimes with other medicines, such as steroids or biological therapies. Anti-cancer drugs destroy cancer cells by stopping growth or multiplication at some point in their life cycles. Drugs may be administered intravenously (into a vein), orally (by mouth), by injection into a muscle, topically (applied to the skin) or in other ways, depending on the drug and the type of cancer. Alternative cancer treatments may not play a direct role in curing your cancer, but they may help you cope with signs and symptoms caused by cancer and cancer treatments. CAM (Complementary and Alternative Medicine) is the term for medical products and practices that are not part of standard care. Integrating the best of evidence-based complementary and alternative cancer treatments with the treatments you receive from your doctor may help relieve many of the symptoms associated with cancer and its treatment. Clinical trials are research studies that involve people. Today, people are living longer lives from successful cancer treatments that are the results of past clinical trials. Through clinical trials, doctors determine whether new treatments are safe and effective and work better than current treatments. Clinical trials also help us find new ways to prevent and detect cancer. And they help us improve the quality of life for people during and after treatment. Phase I trials evaluate safety, Phase II trials measure effectiveness and Phase III trials test against best existing cancer treatment. It is estimated that almost 1.5 million people in the USA are diagnosed with cancer every year. However, due to the substantial effect of modifiable lifestyle factors on the most prevalent cancers, it has been estimated that 50% of cancer is preventable. The main behavioral and environmental risk factors for cancer mortality in the world are related to diet and physical inactivity, use of addictive substances, sexual and reproductive health and exposure to air pollution and use of contaminated needles.